Bournemouth’s biggest memorial event returns on Friday 20 October as Bournemouth Hospital Charity teams up with Macmillan Caring Locally to remember those people who were shining lights. 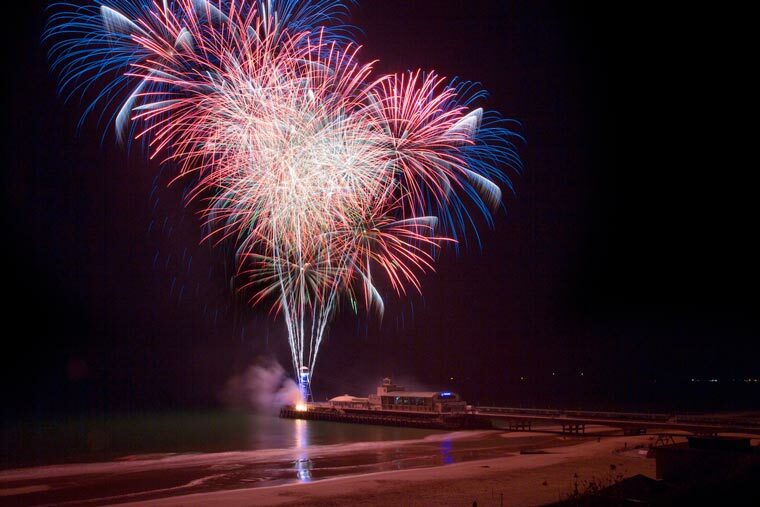 Anyone can dedicate a light to the memory of a loved one for just £5 and then join hundreds of people on the Bournemouth Pier Approach for a magical evening of memories. Two minutes of silent reflection as hundreds of lights illuminate the prom will be followed by a dazzling fireworks display. Bournemouth Male Voice Choir will provide musical entertainment. Karen Smith, Bournemouth Hospital Charity events officer says, “Light Up the Prom is a beautiful way for us all to remember those special people who touched our lives. Proceeds from Light Up the Prom will be shared between Bournemouth Hospital Charity and Macmillan Caring Locally, who support the Macmillan Unit at Christchurch Hospital. This year’s event is sponsored by Harold G Walker Solicitors, who say they are proud to be supporting Light Up the Prom. “As local solicitors, we have witnessed first-hand the outstanding care delivered by staff at the Royal Bournemouth Hospital,” says Harold G Walker’s Managing Partner, Nicola Lowe. Light Up the Prom is once again made possible thanks to Pains Fireworks, who have been supporting the event since its inception back in 2014. Anyone wishing to dedicate a £5 light to a loved one can do so from the charity office at the Royal Bournemouth Hospital, the Macmillan Unit at Christchurch Hospital, by calling 01202 704060 and online at BHCharity.org/light-up/.